When the book of Acts is mentioned, a cluster of issues spring to mind, including speaking in tongues and baptism with the Holy Spirit, church government and practice, and missionary methods and strategies. 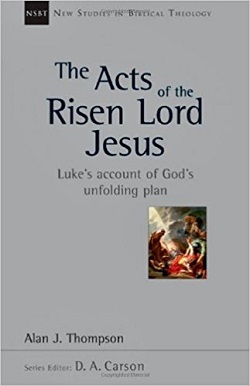 At the popular level, Acts is more often mined for answers to contemporary debates than heard for its natural inflections.Instead of using Acts as a prooftext, Alan Thompson brings a biblical-theological framework to the account to expose Luke s major themes as they relate to the book as a whole. With this framework in place, Thompson argues that Acts is an account of the continuing story of God s saving purposes. Consequently we find that Luke wants to be read in light of the Old Testament promises and the continuing reign of Christ in the inaugurated kingdom.